Elegant demi lune in Regency style. Beautiful swirl veneer is used both on the top and sides. Some delicate inlaid details on the skirt and top. 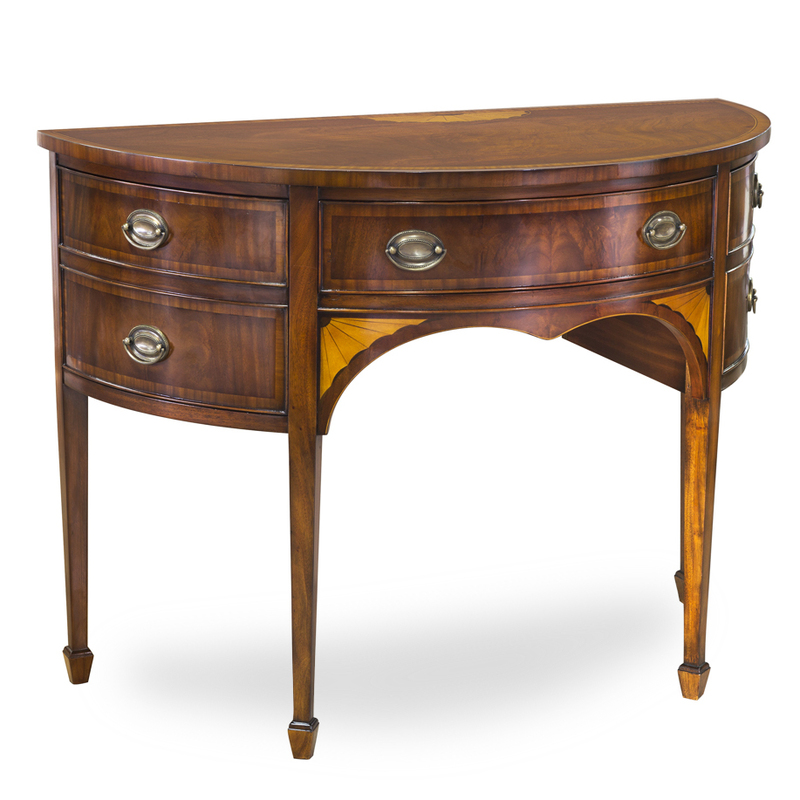 The commode has 1 drawer and 2 doors, oval brass pulls and the typical spade feet.